Our range of Philips & Osram LED Tubes are an energy efficient and longer lasting alternative to ordinary fluorescent tubes. LED tubes are also very strong and robust. They have a polycarbonate finish (instead of glass) and an aluminium heat sink making them suitable for operation in temperatures from -20 to 45°C. 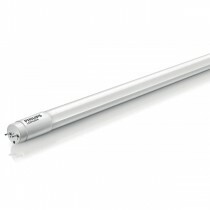 These LED tubes are retrofit replacements for fluorescent fittings which have a starter (EM electromagnetic gear). 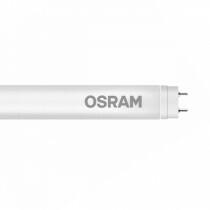 Both the Philips and Osram tubes stocked are supplied with a replacement starter. Simply replace the starter when you replace the tube and away you go. If you have a fitting that uses a high frequency HF ballast (so it doesn't have a starter) then you have a HF high frequency fitting. 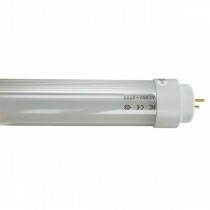 Our range of EM LED tubes are not suitable for HF fittings.